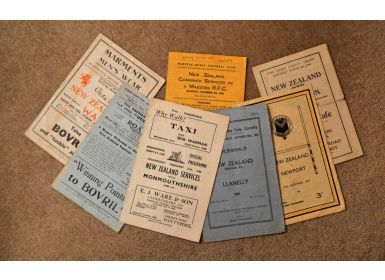 1945-6 Kiwis and Services Rugby Programme Selection (7): The popular touring NZEF 'Kiwis' v Cardiff, Llanelli, Newport, Aberavon, Monmouthshire (NZ lost) and Wales (at Cardiff); varied conditions but all at least fair, if some grubby and loose. 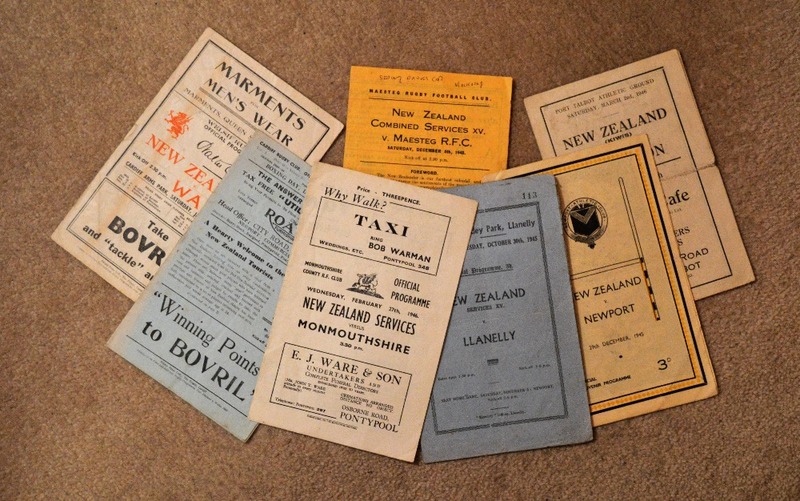 Also the Kiwis' 'second string' v Maesteg, a little writing to front top. Good collection from this significant 'tour' and time.